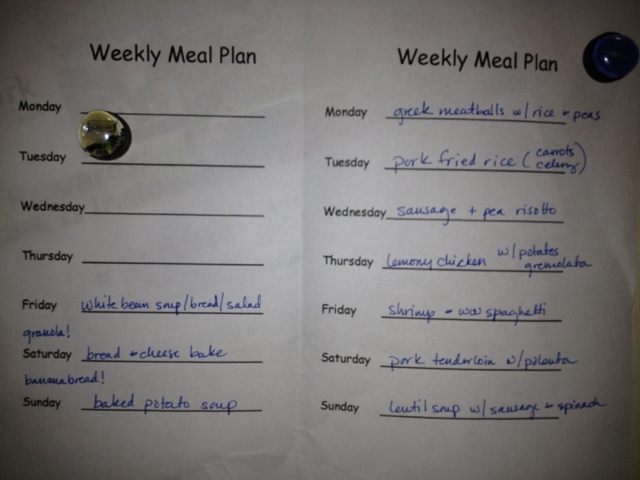 In an attempt to meet my first week of work with as much organization as possible, I’ve made a meal plan using the template provided at Go Gingham. Go Gingham’s fabulous Sara Tetreault took me shopping at WinCo this morning, introducing me to yet another Portland grocery store that meets some but not all of my family’s needs. Great bulk bins, though, and pretty decently cheap prices on other things as well. Plus, they’re open 24 hours – so I can shop ridiculously early in the morning or ridiculously late at night.